Due to an unparalleled commitment to providing outstanding customer service as a San Antonio Realtor assisting with Hill Country Village home sales and Terrell Hills property purchases, many satisfied real estate customers have submitted letters of thanks and some greatly appreciated reviews regarding my Bexar County real estate services. This section is designed to give you some ideas of the level of service that I can provide as a San Antonio Realtor. 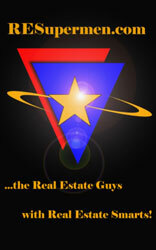 Receiving thanks from clients who have had successful real estate purchases is largely due to the fact that I always assess the needs of my real estate clients and provide them with a level of service that is second to none whether that be for a Alamo Heights house or Hollywood Park property.